Albert Camus, born in 1913, was killed in a car crash on 4 January 1960. His adoptive village, Lourmarin, has been celebrating his centenary this year. 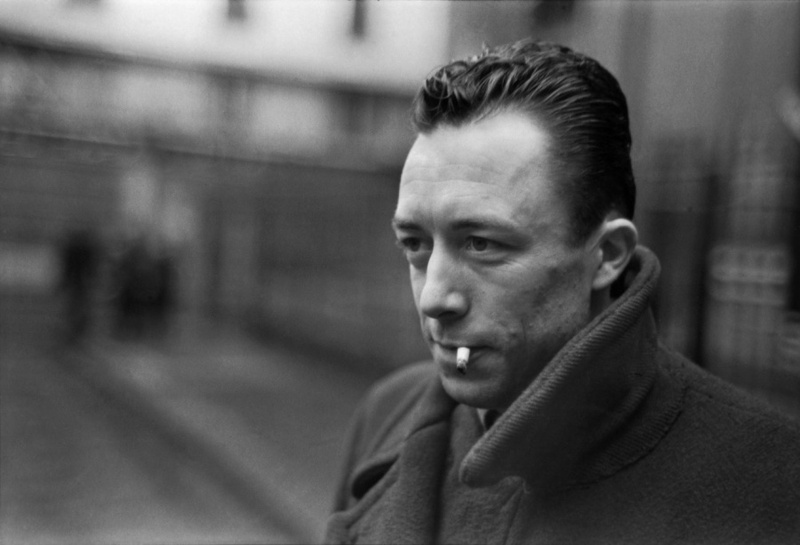 Here’s the Guru guide to the essential Camus. Albert Camus won the Nobel prize for literature in 1957. During his life he wrote 5 novels including The Fall, and The Outsider. He’s important enough within the French national consciousness for Sarkozy to have proposed removing his remains from the cemetery in Lourmarin to the Pantheon in Paris to rest alongside Voltaire, Victor Hugo, Rousseau, Zola et al. The move was opposed by Camus’ family and never happened. I’ve heard he was an existential nihilist, what’s that all about? I tried to read The Fall, and for the first page all Camus went on about was a gorilla who was running a bar. Does it get any better? Once you get over the Gorilla and the bar bit, The Fall, is one of the most sophisticated pieces of fiction you are ever likely to read. Ostensibly it is about the story of a successful lawyer whose life disintegrates after he watches a woman jump from a Parisian bridge and chooses to do nothing to help rescue her. However the true subject matter is about man’s fall from grace in the Garden of Eden and the painful consequences of the loss of innocence. The inner dialogue of Jean-Baptiste Clemence is a compelling window into man’s tortured post-lapsarian state. From Milton to Blake to Defoe, authors over the ages have tried to dramatise the reality of what it means to be human after the biblical fall. Few have done it better than Camus. And the added bonus is that it’s short running to 107 pages. You’ve convinced me, tell me about The Outsider? This one is all about the penalties one can pay for refusing to conform and for speaking one’s mind. Meursault shows no grief at the funeral of his Mother and when he is later accused of a murder, this inability to summon the correct social response, results in him being labelled as a psychopath. He is condemned to death. Once again the story operates on two levels. Firstly as a character study of an individual trapped by the honesty of his responses and a naivety about the motives of others. Secondly as a broader critique of society that demands formulaic responses to events, homogenising and therefore dehumanising individuals. Another great read, and once again it’s short (120 pages), but unfortunately there’s no gorilla. Tell us more about the man? A series of Camus related readings and events are taking place in Lourmarin this year. The next dates in the calendar are 11 and 12 October for an exhibition themed around Camus’ place in the intellectual life of the Midi and a Camus conference on 09 November at the Chateau.